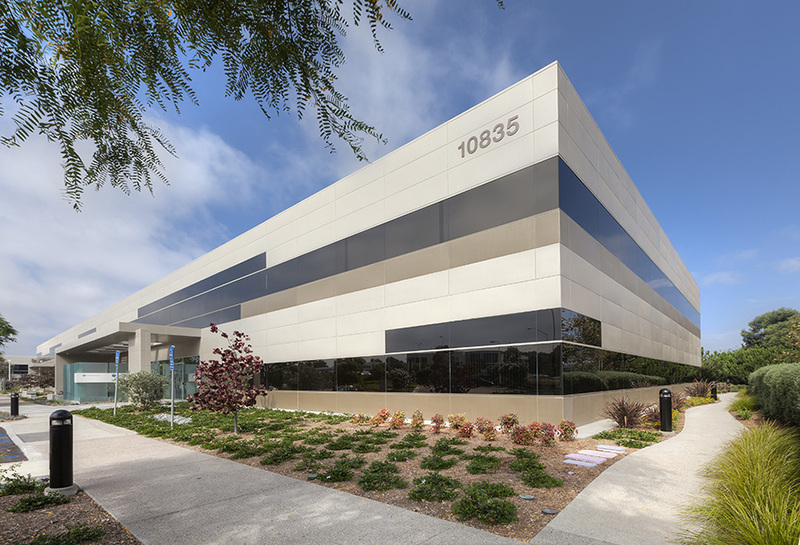 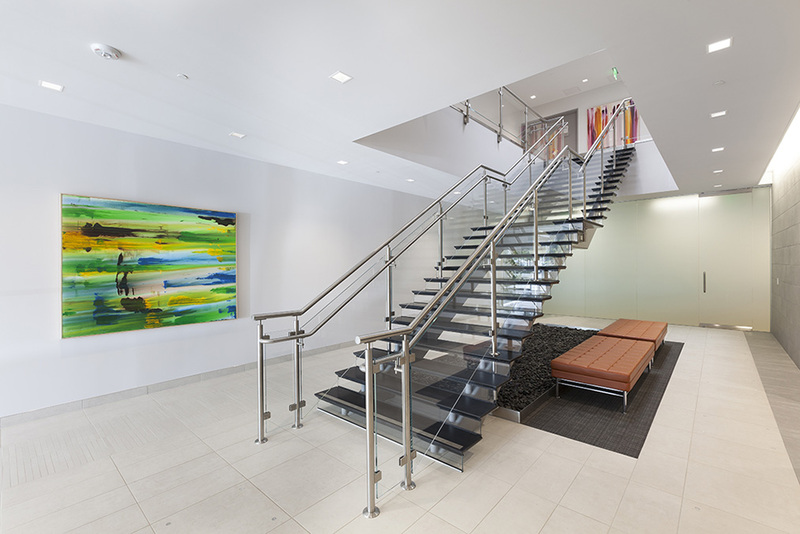 Significant exterior and interior upgrades were designed by FPBA to BioMed Realty Trust’s newest acquisition, a 1980s vintage building located in La Jolla, California. 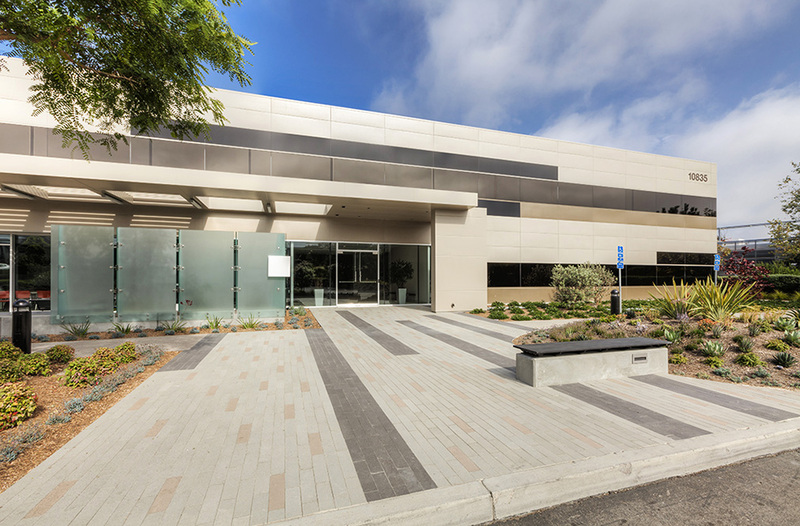 The 68,000 SF building, previously converted from defense contractor use to now dated wet labs, was completely renovated to include four newly upgraded laboratory spaces designed to take maximum advantage of both natural light as well as the landscaped views outdoors. 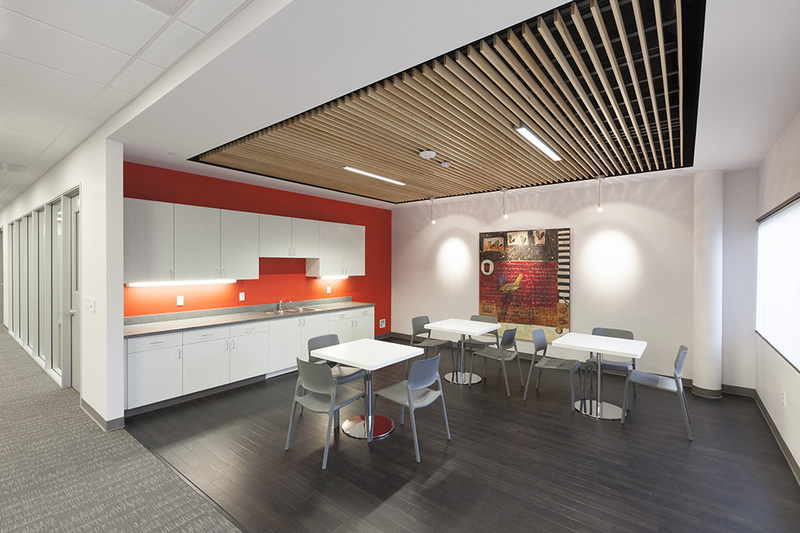 Reconfigured laboratory suites that have highly visual individual entrance lobbies respond to a variety of tenant needs to allow for maximum flexibility as end-user requirements evolve. 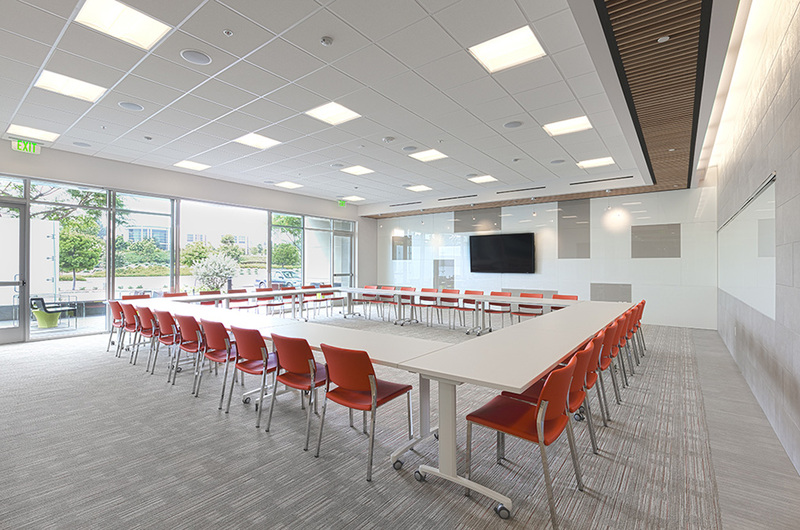 The new Conference Center with contemporary audio visual capabilities is expandable to the exterior where outside meeting and gathering areas are carefully integrated with new landscape and site enhancements. 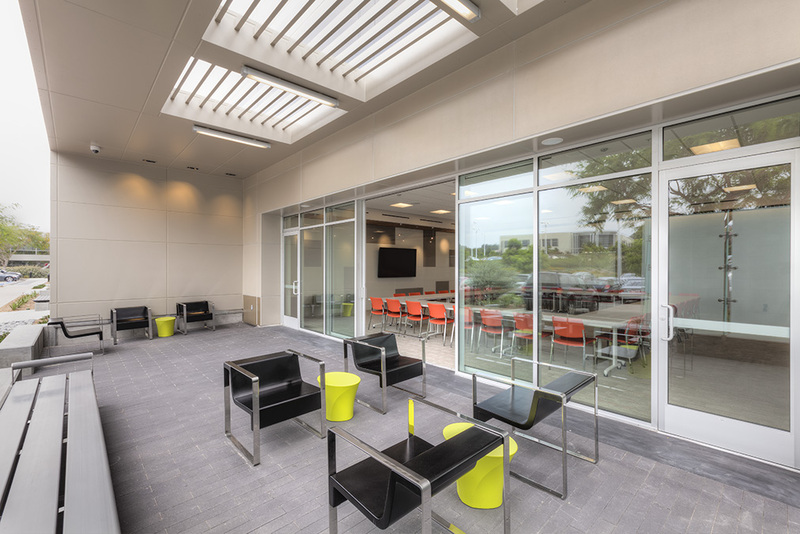 The building’s exterior areas cultivate gathering spaces that were designed as direct extensions of the interior upgrades, with new canopies visually expanding from the base building. 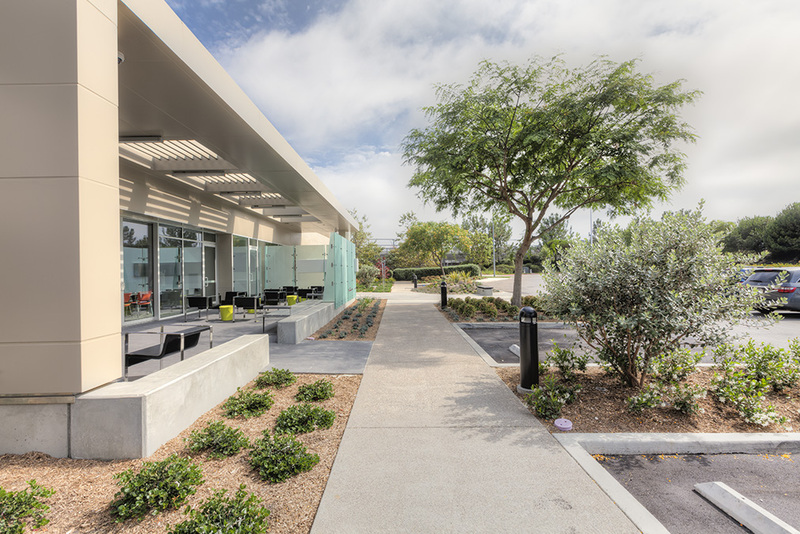 The new technology-based fitness center provides tenants a welcome opportunity to enjoy physical activities away from their desk at any time during the day.